I normally don’t find myself downing raw figs the way I would with other raw fruits. But when they’re grilled, they’re irresistible. They become sweeter and juicier, and develop a deeper flavor that is enhanced with — my favorite part — caramelized sugar. 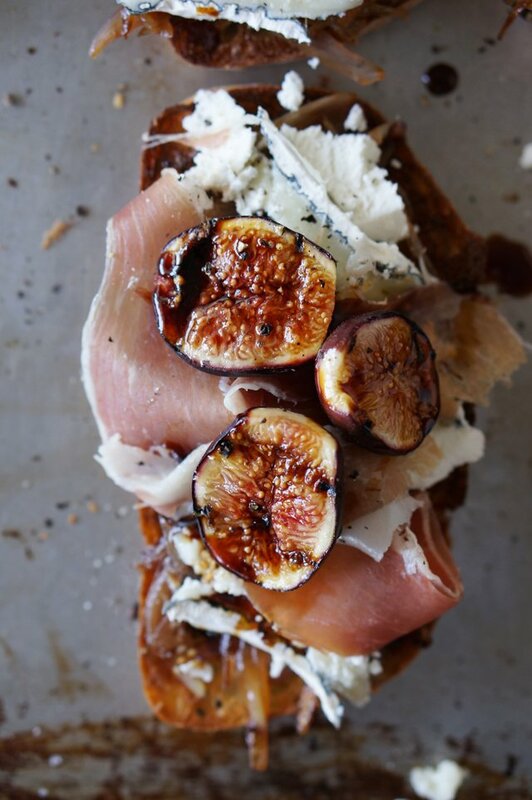 I created this tartine simply by throwing together some of my favorite pairings with figs: goat cheese, caramelized shallots, balsamic vinegar and proscuitto. Each bit is a perfect blend of sweet, sour, creamy and salty. I used my favorite Humbolt Fog, but you could use any goat cheese you like. The great thing about recipes like this is that it’s a type of recipe you eye-ball. You just adjust according to what your preferences are. Heat a grill or grill pan on high heat. Remove the stems and slice the figs in half. Lightly oil the grill with a paper towel soaked with a small spoonful of a neutral oil, like vegetable oil. When the grill is hot, place the figs cut side down for about 1-2 minutes until the figs are soft and have grill marks. Flip on the other side and cook for another minute. Remove to a plate. Cook the shallots over medium high heat in another pan with extra virgin olive oil and a pinch of salt. When the shallots start to brown, add a splash of water to help the shallots get soft and caramelized. Cook for about 7 minutes until they turn a deep caramel color. Turn the broiler on and brush both sides of the bread with extra virgin olive oil and place them on a baking sheet and place under the broiler to toast. Each side should take only less than a minute to brown. Keep an eye on the bread as it can burn quickly! While the toast is still warm, rub one side with the halved garlic. Sprinkle salt and pepper over the toast. 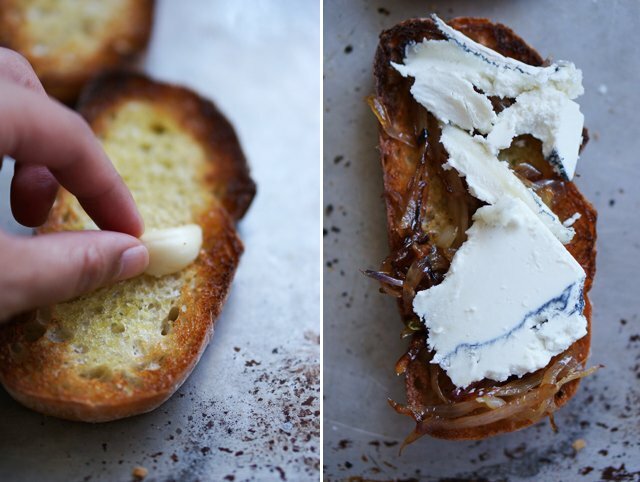 To assemble the tartines, place a spoonful of the cooked shallots over the toast, and top with a thin slice of the Humbolt Fog or goat cheese. 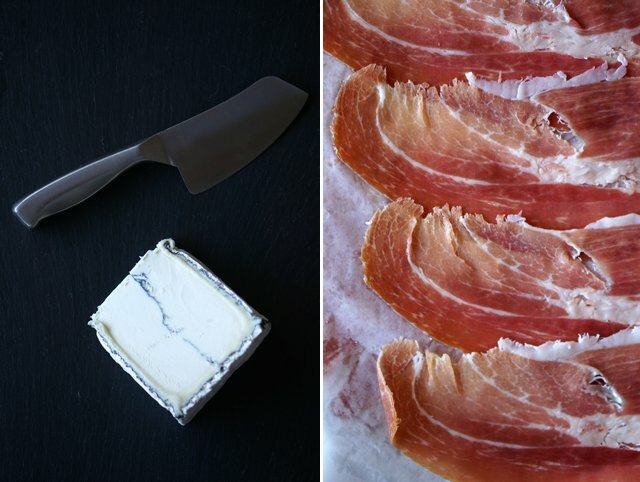 Tear each slice proscuitto in half and top the tartines with proscuitto. 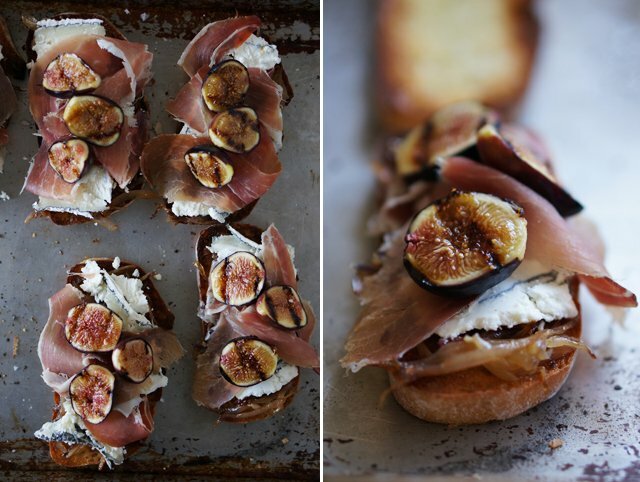 I like to do this so when bite into the tartine you don’t pull the proscuitto out from under the figs. Top with the grilled figs. Drizzle the thick balsamic glaze over the tartines. Sadly, I live in a Manhattan apartment, so no grilling. Can I make this yummy sounding dish in a broiler/toaster oven? WOW! I am running to the market now to get some figs, cheese and proscuitto 😉 Thanks for the inspiration! A few weeks ago, I canned some figs to savor the taste over the winter. This past weekend I picked several pounds from our five bushes. Can’t wait to try this recipe this week. Have to go shopping now for the prosciutto. Thanks. I love figs but I never grilled them.. now I must! This looks amazing! OMG YUM! I do like to eat figs raw, but I also find myself cooking them throughout the season. I’m loving the layers of flavor here. 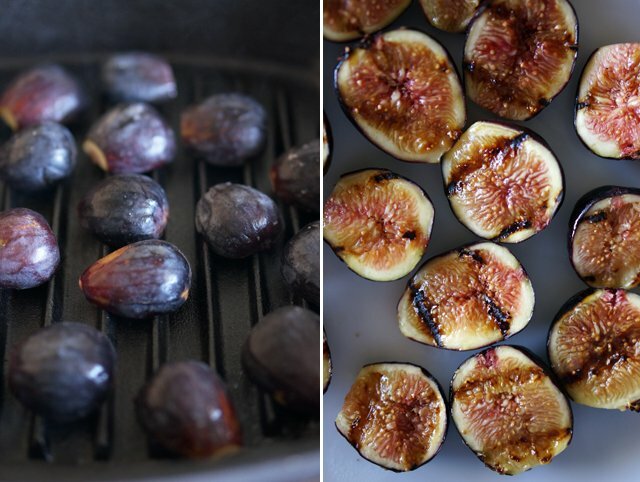 I’ve never tried grilling figs, but I absolutely must now! These are gorgeous and I’m just dying for a bite of sweet, crunchy and salty goodness. The first time I had figs was in Italy a few years ago, and since then they’ve never tasted the same. Grilling them, on the other hand, is something I haven’t tried. I’m interested to see how it changes the flavour. Whoa you pulled out the big guns for this one! I’m with you about grilling figs, definitely superior. Awww sounds yummy. 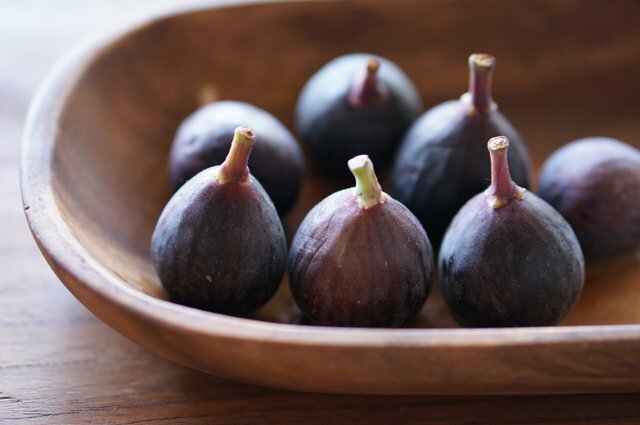 I have never tried making any dish from figs, will try this soon. Yum! 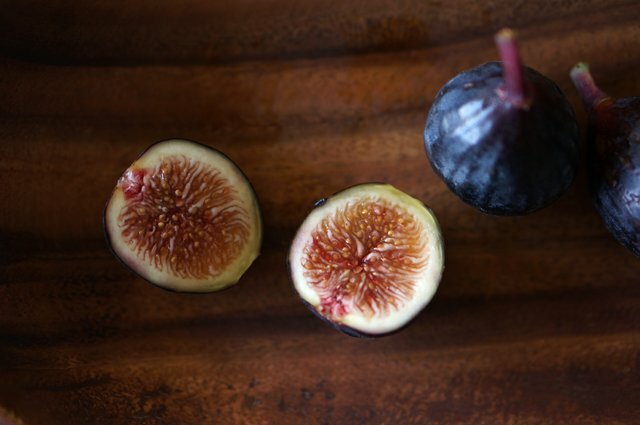 Figs are amazingly delicious and nutritious even just on their own. Beautiful fig creations!! Thanks for posting this. Oh my goodness, this looks absolutely divine! 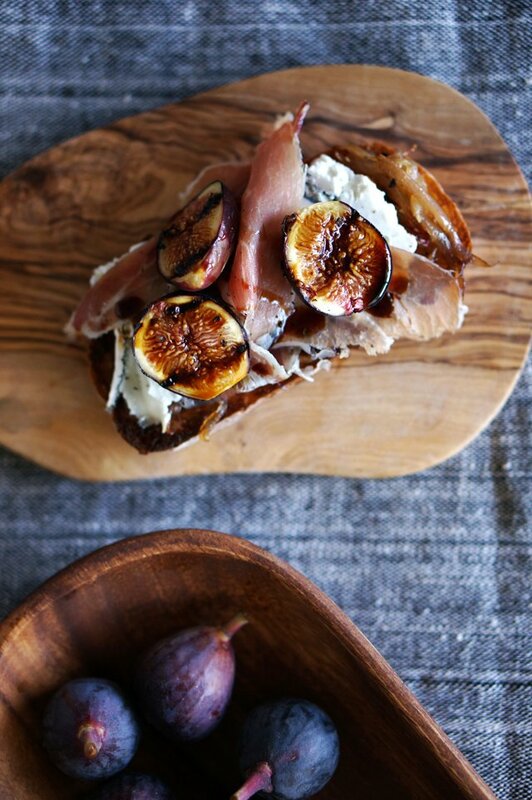 I love the mix of sweet (figs) and savory (jamon). I think I’ve shared that before, but love to reinforce it. Oh yes, has to be the right mix but it is so perfect sometimes! I’m in a fig challange, wish I had seen this before I finished.. looks great! 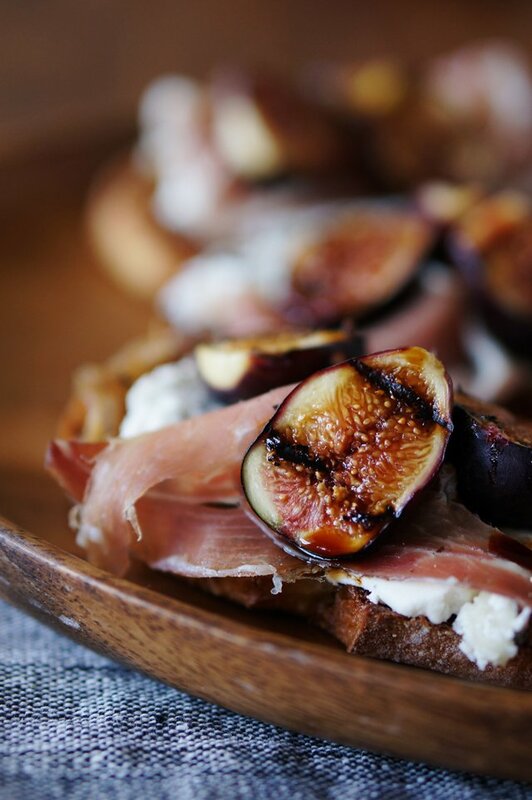 proscuitto and figs are like peanut butter and jelly. can’t wait to try this! 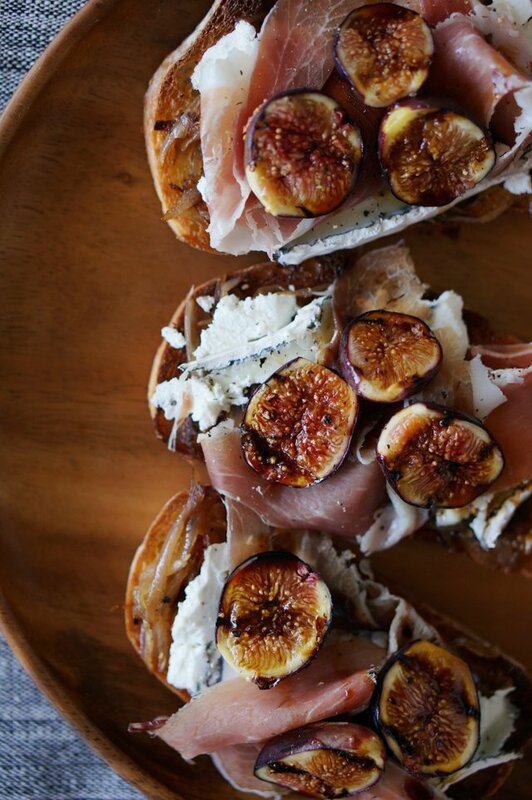 We really cannot get enough figs this season, and this tartine is just… wow! So lovely!